Marketing Your Dealership - Automotive Dealer Photography | CarData Inc. 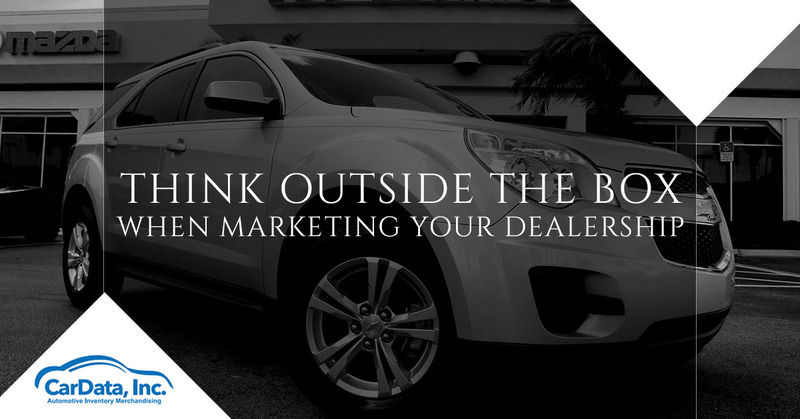 If you own or manage a dealership, you probably think about one thing over and over, marketing. Marketing can mean life or death to your dealership especially in the world of today where foot traffic has been replaced with internet traffic. Many dealers are just as concerned about tracking impressions of their inventory as they are engaging with walk in traffic. At CarData, we know how important showcasing your inventory is to your business. 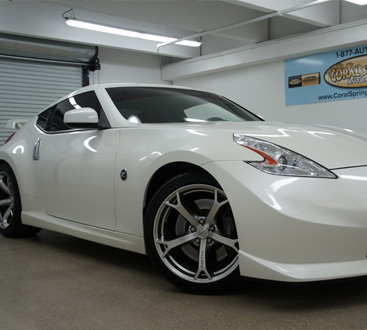 That is why we have a team of expert automotive inventory photographers and videographers ready to tackle your inventory image needs, no matter how large your stock. 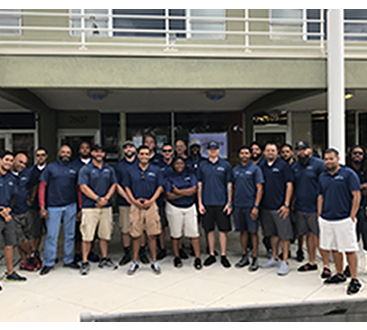 We take great pride in serving the needs of high end dealerships all over Florida, of course it does not matter how large or small your dealership is, we will help you succeed. We are sure you have heard this phrase uttered before and it seems like it rings more and more true every year. Buying a car used to be about slowly cruising through dealership lots, trying to find the ideal car while dodging overzealous sales people. Some weekends it was almost comical when there was little traffic and a potential customer pulled on the lot. It could look like a pack of hyenas descending on an injured wildebeest. When the internet rose to prominence, many car buyers simply took to the keyboard to find their next car. All the research a buyer needs is available online and the regardless of the accuracy of the information, it can sway a customer to buy. While some services and dealerships have made it possible to buy a car without ever setting foot into a dealership. While rare, it does happen. The majority of potential customers will research the vehicle they want extensively, in fact most will spend over half of the car buying process on research. Many will decide on a vehicle they want, and only after the research process, will they walk into the dealership. This makes effective marketing much more likely to produce quality leads that potentially will result in conversions. If you could bring an old school car salesman from the 1960s into the present day, they would be floored to see how marketing is done today. There was a period of time when racing had a huge effect on sales and the saying was, “Win on Sunday, Sell on Monday.” In a way this was the first multimedia marketing in the automotive industry. Ads ran in the paper, the cars were featured on TV and, magazines covered the race. Although arcane and slow by today’s marketing standards, this type of campaign was extremely effective. It gave the consumer the chance to see the car they wanted in action and that brought them into the dealership. Today, customers are more likely to make a much more educated decision, but most of the information they are getting might not be accurate. You might be thinking, “But everything on the internet is true!” Well we hate to burst your bubble but the internet is a big cesspool of bad information. That is why you need to take control of your digital marketing and images. While many dealerships simply utilize 3rd party sites or their own channels for marketing, they are truly missing out if they are not utilizing social media. Facebook, Instagram, Twitter, and many more social media platforms are ripe for digital marketing. Today’s consumer may be active on social media and is likely to seek advice or do research based on reviews and vehicle offerings. A facebook group is a great way to increase dealership loyalty and showcase new inventory. They say that Facebook is one of the most underutilized marketing tools available for automotive dealerships and it is very effective at generating traffic. Adopting Facebook as a primary marketing tool is something every dealership is doing and if you are not on the bandwagon, it is time to change that. Regardless of what kind of platform you are using, a video is a great way to market on various channel at CarData, we have an exclusive partnership with SpinCar 360° vehicle video software. We can now bring you dynamic, full 360 degree walkaround videos that make you feel like you are right next to the car. Many potential car buyers will search almost exclusively on their smartphones and integrating SpinCar into your marketing is perfect for that format. The software highlights the vehicle with interactive zones that allow a researcher to look at the interior of the actual vehicle on your lot. They can pop the hood, look at the driver’s view, and even see what it looks like in the back seat. We can upgrade your package to include walkaround videos and SpinCar software services, just ask! Now before you go posting all of your sketchy inventory photos that your intern took on his iPhone, contact CarData today for more details about our image, video, and digital marketing solutions. It all comes down to presentation, if your inventory does not look presentable in the images you are using, no amount of marketing will help. We think of our services as the baseline for all of your marketing efforts. A good set of images will translate between many different mediums and will help you make an impact with the customers you are trying to reach. Contact us today to get started and see what CarData can do for your dealership marketing.